Home Why is it seemingly impossible to keep warm in an office? Why is it seemingly impossible to keep warm in an office? More than a year ago the Telegraph highlighted how most office heating systems were sexist, with air conditioning units designed for the resting metabolic rate of a 40-year-old man. Setting temperatures on this basis overestimates that of women on average by 20 to 30 per cent, and simply put, we are left shivering all year round, even when the heating is supposedly on. Whilst I don’t adhere to the belief that this is one big sexist plot, it is still a common occurrence as far as I can gather talking amongst my many office based friends. They variously complain about their offices being just too cold or really variable even across the same floors, with one side of the building too hot and the other seeing co-workers burying themselves in extra layers. At Dimplex, we always start by looking at people’s problems when it comes to heating and cooling. We then look at how we can innovate meaningful responses. For office blocks, that means investigating thermal comfort standards, mapping heat and creating new ways to circulate and control heating and cooling around a building. That work is key to the future of energy efficient buildings where control can be delivered not simply building wide, but down to a floor, room or even specific desk space. Unfortunately, these are major building projects and if your office isn’t scheduled for an upgrade or a move to new premises then don’t despair. There is still a very simple and cost effective fix available. 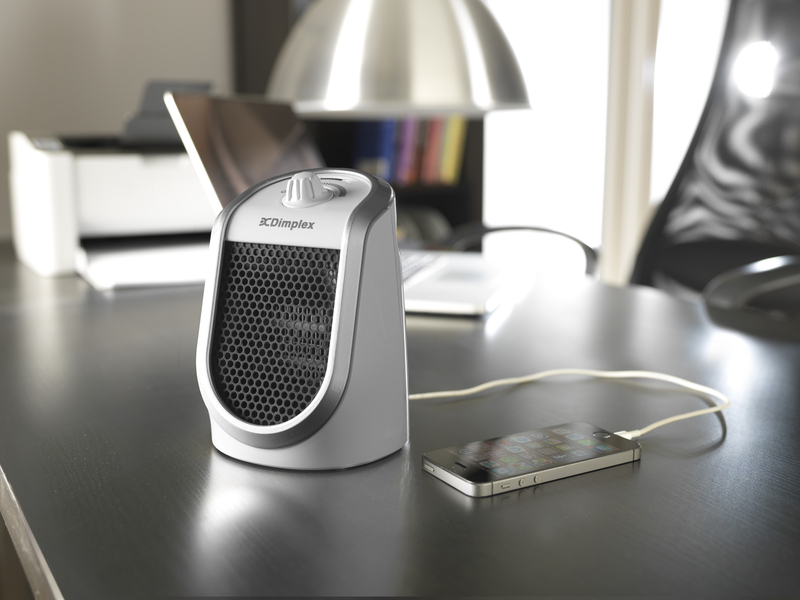 We recently launched the Dimplex DDF250 Desk Friend, which is a compact, highly portable personal ceramic heater. Without cluttering up your desk space, the Desk Friend ensures you can work comfortably even if the rest of the office feels too cold. It is easy to operate, fast to warm up and offers thermostatic temperature control over your personal desk space. We tested the Desk Friend in a number of real office environments and it has proven to be really popular as it is designed to heat you and no one else. It doesn’t take up much space, you can charge your phone or tablet from it and its been designed to not lift and blow your papers across the desk as soon as you turn it on. And if you prefer a bit of warmth on the legs the Desk Friend automatically switches itself off if accidentally knocked or kicked over.